Lately I haven't really had a chance to get a good gaming session in. The last real binge I had was Diablo 3 two weeks ago. I have been playing a few things on my phone, as always : Carcassonne, Agricola, Boom Dots & Shredd. 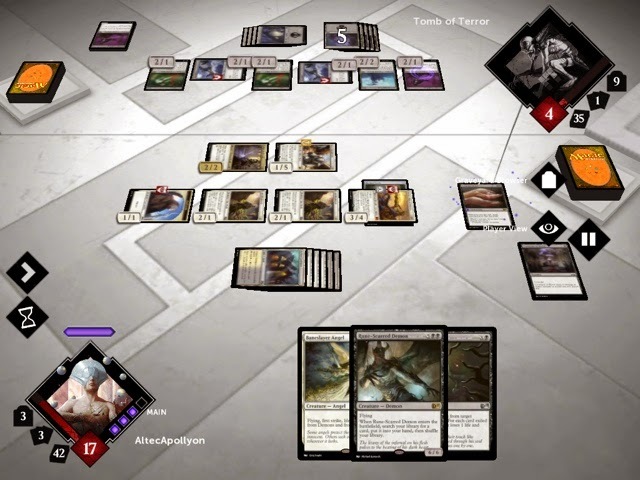 We went away for the long weekend and on the train and in the evenings I played some more Magic 2015 on the iPad. I finally cracked and bought the IAP for the cards that you can normally only unlock when you defeat an opponent online - simply because the game crashes on me sometimes and I can barely find anyone to play online with - I just want to play around with the cards and understand the combos, so I guess they got me there. Hey, it's still cheaper than experimenting with real MTG cards. Funny, I've been quite stressed out lately and then today I - without thinking - turned on Geometry Wars 3. Looks like my gaming is also my comfort food. 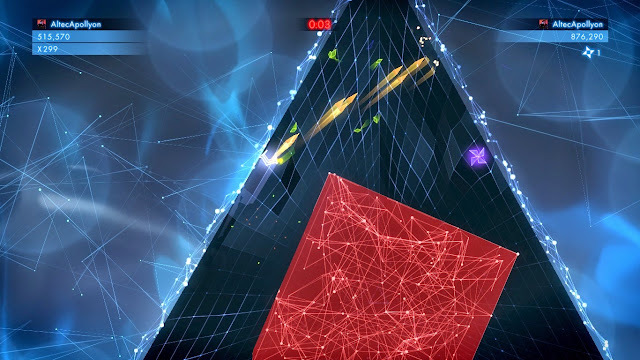 There was a new update for Geometry Wars, so its now called "Evolved" and has a bunch of new stuff to check out. I contained my gaming time to about a hour so I could checkout Diablo 3 again. Last time I played Diablo 3 was a quick little session after an all night binge with a friend who knows the game inside and out (according to his account he's played over 4000 hours....yes, that is insane!) And today I thought I would just play for about an hour, it turned into two and I defeated the boss in the expansion and "beat the game." This means that I can now go try my hand at these bounties and rifts everyone keeps going on about.....oh, and I found the cow level today. That was pretty funny, unfortunately pretty unfruitful as well. I also found myself booting up Minecraft lately, just to check if our Realm was still up (it wasn't and that made me sad) and reset my Neptune's Pride 2 password; just because I wanted to keep the hope alive that one day my group of 16 people might want to play again. Wonder what it all means? I know that I haven't posted another "Games I am looking forward to in 2015" and it's almost already half over - seems that I am pretty terrible with this whole blogging thing - but some of the games I am looking forward to haven't been released, so maybe I still have a chance to get a post up before they are.... for now, I am going to bed to play Magic 2015: last boss.